Battaglia Homes partners with LUXE Magazine and is featured in the Fall 2011 edition. 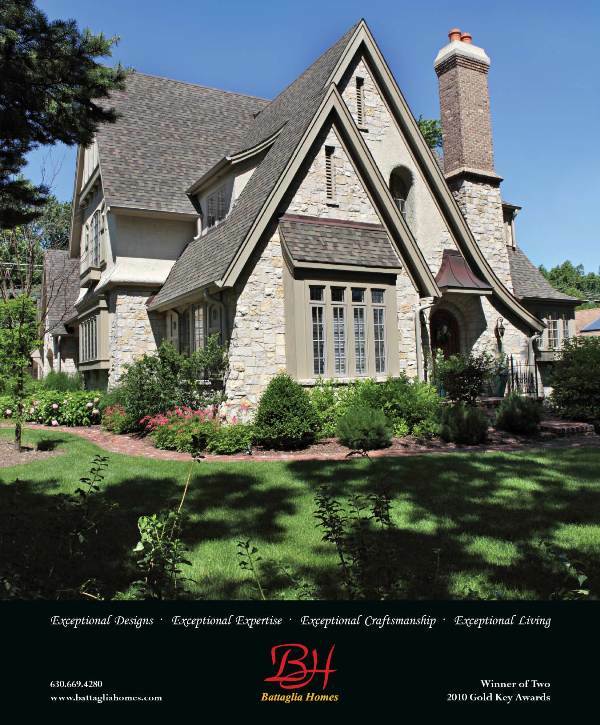 Battaglia Homes proudly features one of its award winning Hinsdale homes in the Fall 2011 issue of LUXE. Battaglia Homes was awarded two prestigious Gold Key awards for this home by the Homebuilders Association in 2010. The home’s amenities include american cherry floors, top of the line custom cabinets, floor to ceiling wainscoting in dining room, three piece crown molding throughout first floor and foyer, coffered ceiling in family room, leaded glass in kitchen and dining room. The home was constructed with the finest quality material and was precision crafted under the watchful eye of 28-year construction veteran, Carlo Battaglia. Call Battaglia Homes today at 630-669-4280 to discuss ideas about building your dream home.